A Moscow Mule cocktail mixes vodka, spicy ginger beer, lime juice and ice. It is served in a copper mug garnished with mint leaves and a slice of lemon or lime. 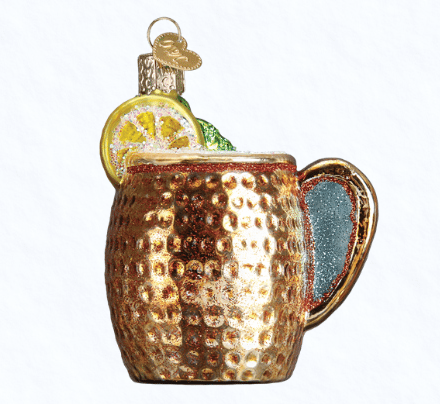 The copper mug provides an extra-cool sensation due to the metal quickly taking on the icy temperature of the cocktail.